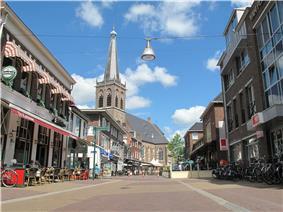 Doetinchem (Dutch pronunciation: ; Low Saxon: Deutekem) is a city and municipality in the east of the Netherlands. 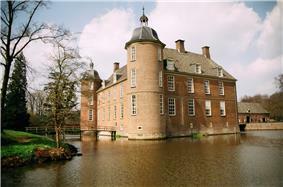 It is situated along the Oude IJssel (Old IJssel) river in a part of the province of Gelderland called the Achterhoek . The municipality had a population of 56,436 in 2014 and consists of an area of 79.66 km2 (30.76 sq mi) of which 0.60 km2 (0.23 sq mi) is water. This makes Doetinchem the largest town (by population) in the Achterhoek. On 1 January 2005, a municipal restructuring merged the neighbouring municipality of Wehl as well as the Zelhelmse Broek area with Doetinchem. Wehl was a separate municipality (with about 6,750 inhabitants, including Nieuw-Wehl) until 31 December 2004, when it merged with the municipality of Doetinchem. It is known from archaeological finds of skulls, pottery shards, and flint arrowheads that the area was inhabited more than 11,000 years ago. These prehistoric hunters were followed by Celtic and Germanic tribes like the Franks and Saxons. Roman coins have been found and there is also archaeological evidence of the Vikings having plundered the area. The first reference to the name of Doetinchem comes in a document from the year 838 which mentions a ‘villa Duetinghem’, a settlement with a small church. In 887, there is another mention of ‘Deutinkem’, a fortress with a church which had been given to the then Bishop of Utrecht. The spelling has varied over the centuries, with ‘Duttichem’, ‘Duichingen’ and ‘Deutekom’ being just some examples. For a long time Doetinchem remained a small place but around 1100 it started to grow and, after suffering several attempts by plunderers, a town wall was built. In 1236, Doetinchem was granted city rights (‘stadsrechten’) by Count Otto II of Gelre and Zutphen, and in return the town provided taxes and soldiers for the Count’s army. Also, the new city council published rules for the city, codified in the ‘Keurboek van Doetinchem’ (Rulebook of Doetinchem), which laid down severe punishments for infringements. In 1226, Doetinchem faced increasing danger from plunderers, and so the city wall was raised by a metre. There were four barriers in the wall which, being weak points, were replaced over time by four large city-gates known as: the Hamburgerpoort (built 1302), the Waterpoort, the Gruitpoort, and the Hezenpoort. Later a moat was dug around the wall and a rampart was built in front; the city’s central windmill, the ‘walmolen’ (Dutch ‘wal’=rampart, ‘molen’=mill), stands on the remains of this rampart. Despite these defences, Doetinchem was besieged many times and during the Eighty Years' War (1568–1648) was besieged and conquered twice. However, eventually the walls became seen as redundant (or perhaps ineffective) and in 1672, they were torn down. 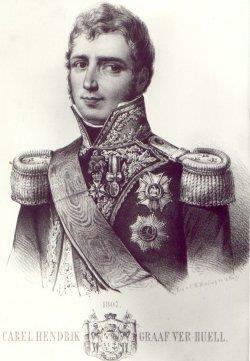 However, it was not until the second half of the 19th century that the city-gates and most of the rampart were removed. From its early years, Doetinchem had been an important marketplace for farmers to sell their wares; the market was held in the central square called the Simonsplein right up until the Second World War. Doetinchem has had its fair share of disasters. Apart from the sieges mentioned above, in 1527 a large fire destroyed most of the city including the city archives (which means that many earlier dates in the history of Doetinchem are somewhat unreliable), and in 1580 most of the city was killed by plague. There was also occasional flooding. However, despite the fact that Doetinchem is only 6 miles (9.7 km) from the German border, because the Netherlands was not involved in the First World War, Doetinchem saw nothing more than the posting of a few border guards during that time. Even during the Second World War, Doetinchem came off fairly lightly at first; there was only a small German occupying force and the city even escaped the worst effects of the Hunger Winter. However, some prisoners were executed after being implicated in the shooting death in Putten of an important German officer by the Dutch Resistance and disastrously, in March and April 1945, the centre of Doetinchem was largely destroyed by Allied bombing which was either intended for nearby German towns or, as some say, was to destroy the German defenses in Doetinchem. Which of the two is true has never really been clarified and there is still some discussion about the true intentions of the bombardment. The city itself was liberated by The Calgary Highlanders in 1945 after a brief battle there. In the decades after the war, Doetinchem grew and in a few years had outgrown its "competitors" in the Achterhoek, namely Doesburg, Winterswijk and Zutphen. The Dutch company, Philips, had a factory for some years in the city. From 2003 till 2005, the city grew enormously as new districts such as Dichteren were built, and as Doetinchem incorporates outlying villages such as Wehl into its municipality. In 2011, the city is still growing. By building new district as het Loo and Isseldoks, and the opening of a brand new theatre and cinema, Doetinchem is the biggest growing city in Gelderland. A few other important buildings in the city are the Amphion-Theater, the Gruitpoort, a big cultural centre, the Rietveld Lyceum, the biggest high school in Doetinchem and the Tax administration office. Doetinchem has a professional football team, De Graafschap (‘The County’). The home of De Graafschap was completely revamped to transform it into an all-seater arena. The stands are fully covered, with the roof painted in the blue and white of the club. The city has an indoor swimming pool, Rozengaarde. In April or May, a local evening four-day marathon is organized. Since 2005 a four-day marathon is organised which starts and ends in Doetinchem and runs through the Achterhoek. The marathon was held from 23 August to the 26th. Almost 15.000 people took part. In 2009 the city's volleyballteam took part in the CEV cup playing against Haltbank Ankara from Turkey. Doetinchem has an annual street-theater festival Buitengewoon (Extraordinary), and the City Festival, a big festival with musicacts, theatre, a carnival and fireworks. Newspapers available in Doetinchem include subscription paper "De Gelderlander" and free papers "Doetinchems Vizier" and "Zondag", all published by Koninklijke Wegener NV. Doetinchem has its own television station called ‘Stadstv’ which is received by cable in the municipalities of Doetinchem itself and the neighbouring Hummelo en Keppel, and a television station called 'GraafschapTV' which is received in the entire Achterhoek region. Doetinchem has been connected to the Dutch national highway system since November 1974, when the Zevenaar-Doetinchem section of Highway 15 (A15) was opened. This section was extended to Varsseveld in 1984. Today the A15 is called the A18. Doetinchem is served by rail services from Arnhem by the regional train to Winterswijk with two stations, one in the city centre – Doetinchem and Doetinchem De Huet lying to the west between the suburbs of De Huet and Dichteren. Doetinchem receives four trains per hour to Arnhem (Monday to Friday) and there are always 2 trains per hour between Arnhem and Winterswijk. The rail company is Syntus. In 2012, Arriva, who already operates all the busservices, will take over the rails between Arnhem and Winterswijk. Bus services are operated by Arriva.